Government rules and regulations affect every department at a pharmaceutical company and within the past few years, interconnectedness between government programs, commercial contracting, finance and legal departments has become more evident, and more important. This year's looming rules and regulatory changes from CMS, HRSA, and OIG and the impact of the ACA could completely change the way you conduct government-related operations. IIR's Medicaid Drug Rebate Program Summit has become THE authoritative MDRP event for everything government pricing, rebates and regulation, because it brings together all the pieces you need to succeed-regulatory updates, 550+ MDRP executives, and 20+ solution providers across three days. 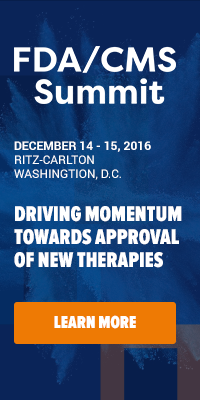 Download the brochure for the complete summit and session details. This is the largest government pricing and reimbursement event in the industry-and its the only event your peers buzz about. Click here to save your seat now or call 888-670-8200. Be sure to use Priority Code: XP1958BLOG to save $100.